The taxi driver repeated it back. “You want to go to the Tibeau Cemetery?” He seemed confused and probably suspicious. The previous day, I asked the innkeeper about the cemetery. Someone who grew up in these islands told us about it and I was very curious. “Oh, really?” I said, “I think that’s how Trump won the election.” She doubled over laughing. Some of the dates on the graves were old. But some of the ones in the water were as recent as the 1980s. It could have been from an animal. I thought I should take a picture of the bone because no one would believe me. But it felt disrespectful, so I didn’t do it. Sometimes my favorite time is breakfast. It’s the beginning of the day and maybe you don’t know what’s coming. We walked a couple blocks down the street to access Hillsborough Beach. 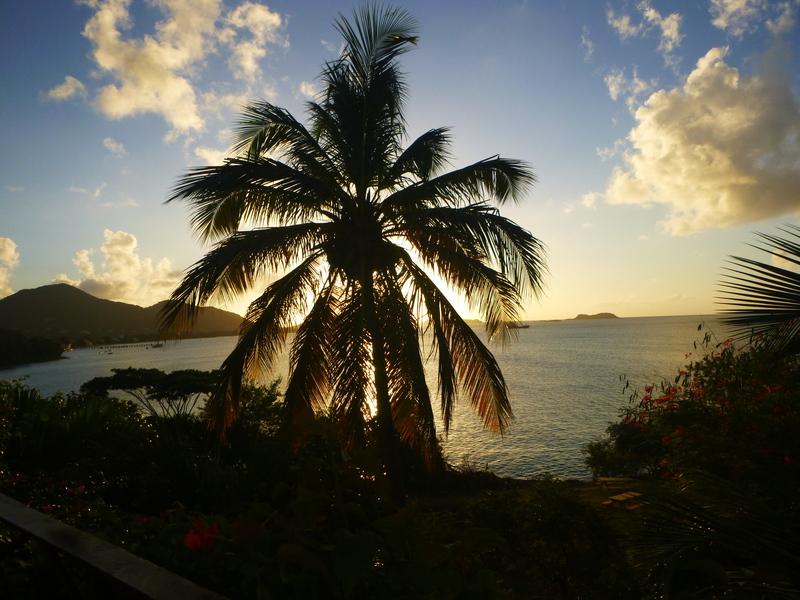 It’s a one mile stretch of beach that runs the west side of Carriacou island. We walked the long beach with our backs a little sore from the sunburn we got snorkeling in the Tobago Cays the day before on Dave’s Boat tour. 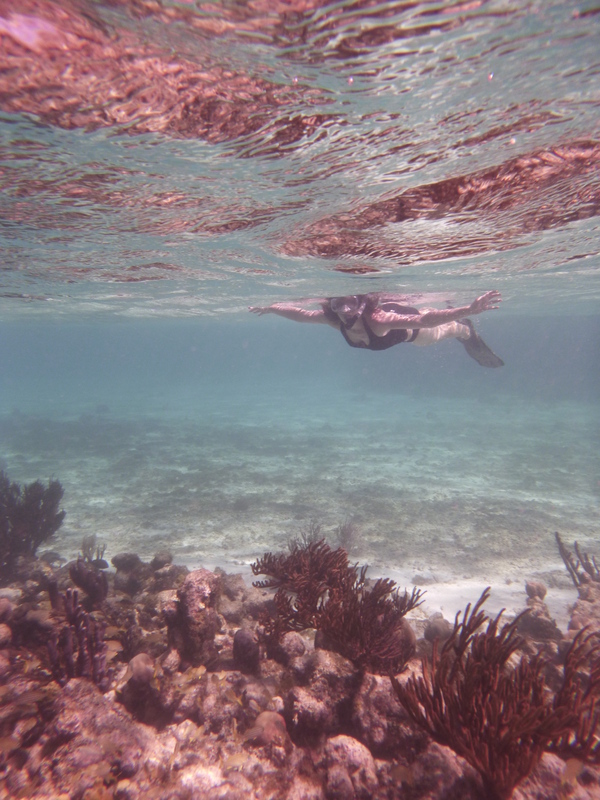 This being our second snorkeling experience — plus a refresher in shallow water the day before — made it extremely cool. 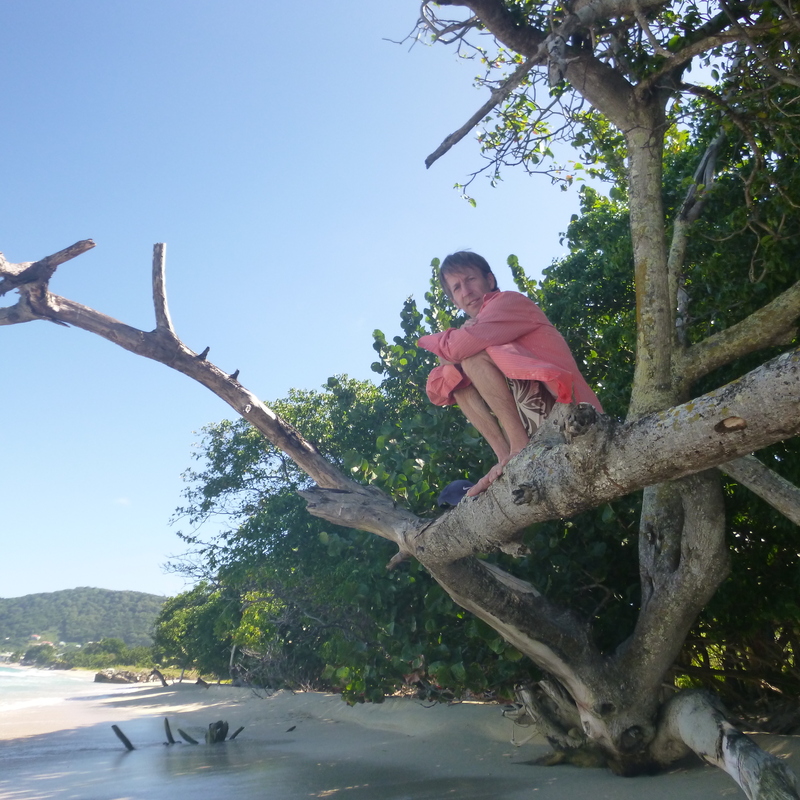 I don’t know what I was thinking on the first trip when I just jumped off the boat in the middle of the sea thinking, “Yeah, I’ll just figure this out as I go.” I drank a whole lot of the Caribbean Sea that time. 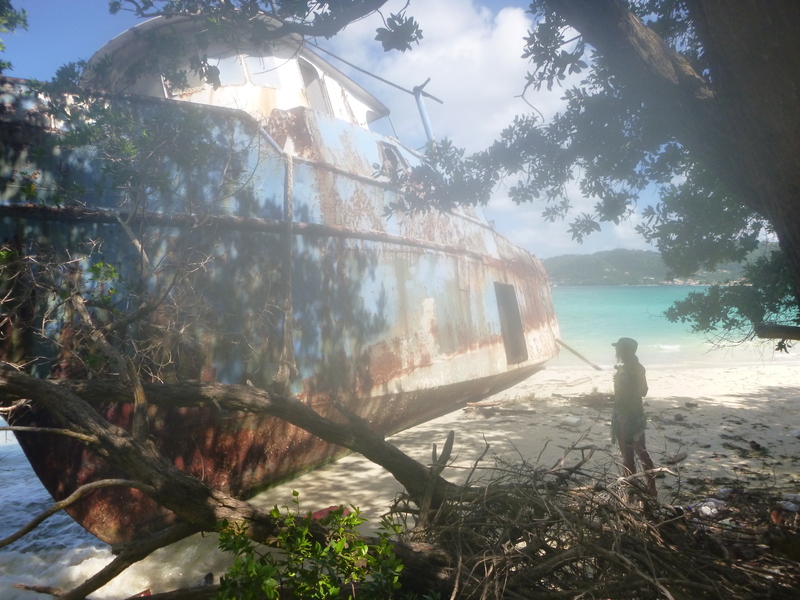 Anyway, at the end of our mile long walk on the beach — completely empty because it was Christmas day — we found a ship that had run aground years ago. After our walk, we returned to the Green Roof Inn. They have a great staff. The chef, Leslie Ann, prepared me a vegetarian meal that was not on the menu. It’s an island, so everything we ate was mostly local. I didn’t eat the fish but Nancy did. It was pulled straight out of the water we walked along an hour ago. The eggs we would have for breakfast were from the chickens that ran around the yard under our room that overlooked the sea. The next morning, near 5 am, the rooster started his calls. We laughed and went back to bed. There are emotions and feelings that we can experience but cannot express. These are the moments that connect us to the universal Truth that cannot be written into a sentence, a paragraph or a book. These are the things to swim in like the deep pool that is the collective. No life rafts, no safety bars. Just the stillness of primitive man looking to the skies and knowing nothing is explainable.